Growing up in Australia we kids were made aware of Oreos due to the fact that every sitcom on TV here was American. In these shows kids come from school, drank milk and had an Oreo. They attained mythical status even though we had just a vague idea of what kind of biscuit, or cookie, they were. Then, a year or so ago, supermarkets were awash with Oreos. And they were so cheap. I bought them, I tried, them, I was underwhelmed. 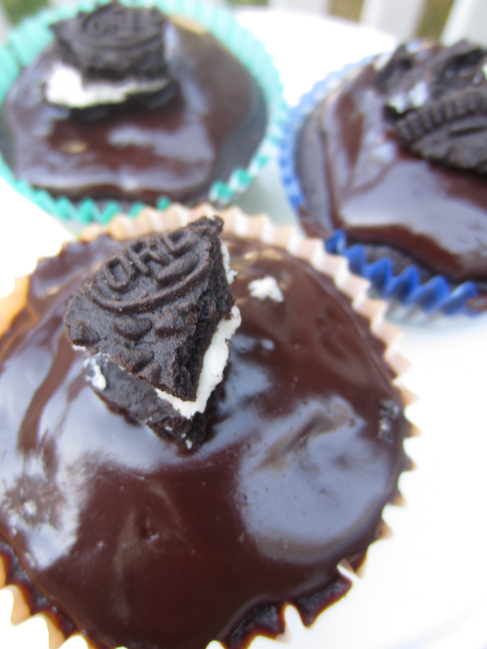 Never fear, thought I, for they can be turned into a swoon-worthy treat – the Oreo cupcake. You are the best mom ever!! !